He’s also a Republican congressional nominee. Thanks to some procedural maneuvering by Jones and the Illinois GOP’s botched opportunities to block his campaign, this avowed white nationalist will appear on the November ballot on the Republican Party ticket in the safely blue 3rd Congressional District. Jones doesn’t pose a real threat to Democratic incumbent Rep. Dan Lipinski, but his campaign has forced both the state and national GOP to answer, yet again, for the openly racist candidates running in the party’s name. “This bigoted fool should receive ZERO votes,” Cruz declared. Jones, a retired insurance agent, is a perennial candidate, having run for the 3rd District seven previous times, in addition to seeking other local offices. 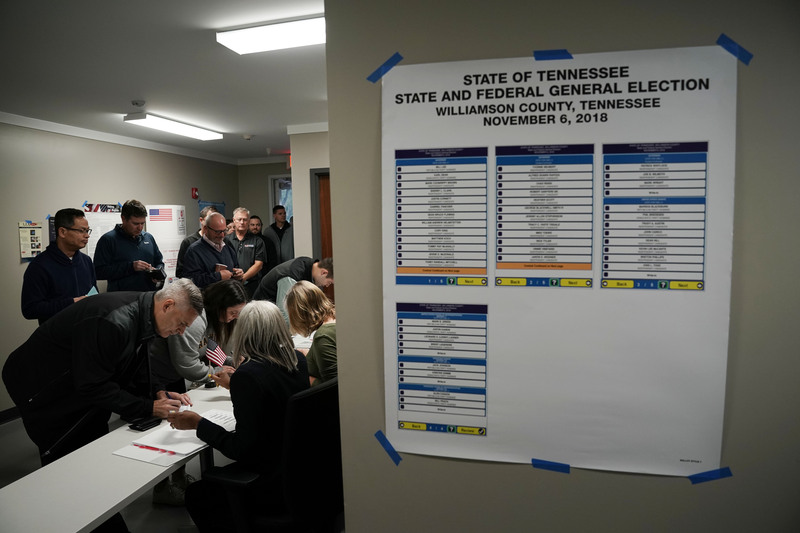 But this year, with no other Republicans in the running, Jones successfully collected the 832 signatures he needed for his nominating petition. He caught the GOP by surprise by submitting the petition on the last possible day. The Illinois GOP attempted to derail his campaign, scouring his petition signatures for irregularities that could merit a legal challenge and attempting to recruit candidates to challenge Jones both in the primary and on a third-party ticket. They failed on all counts. In the March primaries, while Lipinski was fending off a credible challenger on the Democratic side, Jones received over 20,000 votes on the Republican side —presumably including some cast by voters unfamiliar with his views. Local Republicans say the failure to stop Jones has to do with the demographics of the district, which is heavily Democratic. A Republican candidate would have to spend hundreds of thousands of dollars to get on the ballot, and would almost certainly lose to Lipinski, who is backed by Chicago’s Democratic machine. But out of concern for appearing to enable a Nazi’s campaign, the Illinois GOP has launched an anti-Jones messaging campaign, conducting robocalls, sending out mailers, and condemning his views in statement after statement. “The Illinois Republican Party and our country have no place for Nazis like Arthur Jones. We strongly oppose his racist views and his candidacy for any public office, including the 3rd Congressional District,” Illinois Republican Party Chairman Tim Schneider told TPM via email on Thursday. The Republican Party has had to confront the question of what to do about candidates like Jones with increasing frequency of late. In Wisconsin, open anti-Semite Paul Nehlen campaigned to unseat House Speaker Paul Ryan, while John Fitzgerald is running for Congress in California with the primary goal of “exposing” the Holocaust as fake. A spokesman for Rauner’s campaign declined to speak with TPM on the record, but pointed to a tweet Rauner sent on Thursday afternoon urging voters to support “anybody but Arthur Jones” and chiding “the media or anyone else” for implying he thought otherwise. With local Republicans assailing their own nominee, Lipinski has mostly avoided the subject of Jones’ Nazi sympathies, though his campaign has fired off several fundraising emails on Jones’ “ugly” views. Asked why the campaign hasn’t spent much time discussing Jones, spokesman Jerry Hurckes said they are wary of giving him any more attention. “If you keep giving this gentleman exposure, his ego just keeps growing and it gets very convoluted as to what is actual and what is not,” Hurckes said. Jones’ campaign website features an entire section on the Holocaust, which he refers to as “the biggest, blackest, lie in history.” It’s formatted with the sort of random capitalization and bolded quotes you might see on a conspiracy theorist’s blog circa 2003. Reached by phone Thursday, Jones referred to Cruz as “Count Chocula,” the cereal box character, and said that an “alien-born person” like the Canadian-born Texas senator had “no business sticking his long, pointed nose into politics in Illinois.” After criticizing the state GOP’s opposition to his campaign, Jones launched into an unprompted diatribe on the “phony issue” of immigrant family separation at the border, and the “NN-22 anti-ship missile” that Iran possesses that he believes will usher in a third world war. Asked about his long-shot prospects in November, Jones brought up the over 20,000 ballots cast in his name and said he had graver concerns, namely, nuclear war against Iran. “So that’s my concern: we could in fact end up in a nuclear holocaust that would be the end of mankind, probably,” Jones said.